Since 2003, CPS Creative has been creating online marketing materials for large and small firms across the country. We specialize in CMS site implementations, including WordPress and Joomla, as well as plain XHTML/CSS implementations. We work with other design firms to provide the technical expertise that you need and also partner with technology firms in need of a front-end specialist. We fit comfortably in any part of the process, from design to implementation, or we can do it all, depending on your needs. Please get in touch if you are looking for a long-term relationship with a dedicated and efficient design and implementation team located here in New York City. 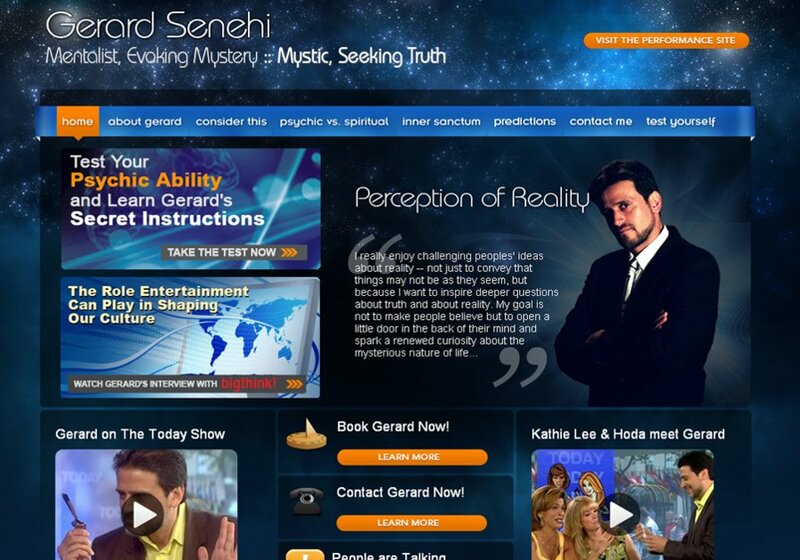 New website for mentalist Gerard Senehi, who recently appeared on The Today Show.